The latest version of Adobe’s Creative Suite has hit the shelves and despite the hefty price tag, it’s definitely value for money. CS5 is by far the most powerful version to date with some of the titles now able to run in 64 bit. This dramatically increases everything from render and computation times to allowing a faster, smoother workflow. 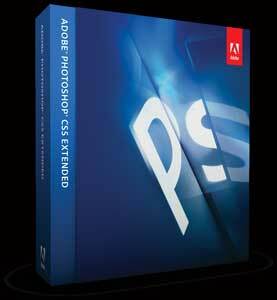 Photoshop, Adobe’s long time flagship application is now 20 years old and CS5 sees the 12th version of the industry standard in photo and image editing and manipulation take centre stage. In a three-part series, I’ll showcase the main features to come to Photoshop and highlight some of the changes to a few of the other key titles. As before the Creative Suite comes in both Web and Design blends as well as a Master Suite that contains the whole kit-and-caboodle. First up, here’s my top 5 new features for Photoshop. If you’ve seen any of the teaser trailers that did the rounds before the launch revealing some of the new features of PS this is by far the most impressive. For those that have missed it, Content Aware Fill is like a combination of the Patch Tool and Spot Healing Brush on crack. It actually lets you remove a selection from an image, the video example uses a white horse running through a paddock with fences and trees in background, and replaces it with what it thinks is a good match. Again the video example seamlessly shows the fence and tree line tiling in the background. I’ve watched this example live and tried and tested it myself and it’s absolutely incredible. The complexity of the images involved will play a part in the final result obviously but you can tweak and fiddle with a range of settings and still get a pretty decent image. It is exceptionally easy to use. Just create a selection with the Lasso, Marquee, or any other selection method and hit your Delete key. Photoshop will throw up a dialogue box enabling you to choose Content Aware Fill. Once you hit OK, Photoshop will automatically detect the content surrounding your selection and produce a fill based on your selection. There are four default brush types on offer; flat, pointed, angled, and fanned. They now work in much the same way as their real-world counterparts and they come with many new settings that will allow you to mimic just about any type of brush that traditional artists use. The Bristle Brush Preview window even shows you the shape of the selected brush in real time allowing you to twist, turn, and interact with your paintings like never before. High Dynamic Range or HDR is a photographic technique where an image is created by combining multiple photos taken in succession from a camera on a tripod. HDR Toning is an adjustment that allows you to replicate that effect using just one photo as a base. This filter works by correcting the distortion that may be created by various photographic lenses. Photoshop CS5 actually contains a library of known camera lenses and the proper setting for each correction. The Mini Bridge Feature is a new Extension in Photoshop CS5. Like the standalone version, Mini Bridge allows you to browse the files on your computer without actually having to leave Photoshop. This is a guest post, from Aaron Turner-Jones. Aaron is the Creative Director for a large, well known and long established Internet Development company, and is responsible for the production of concept design, brand integration and user experience. He is also the Adobe User Group Manager for Brisbane. You can see more of Aaron’s work at his website.